German police launched a probe against neo-Nazis after they marked about 70 Jewish synagogues, nurseries, schools, businesses and cemeteries in Berlin on a map posted online on the anniversary of 1938 Kristallnacht pogrom in Nazi Germany. The Facebook entry posted by a local neo-Nazi group had a caption “Jews among us!” written in Gothic script popular in the Nazi era, Tagesspiegel reported on Wednesday. The post was first spotted by a Berlin-based NGO Mobile Counsel Against Right-Wing Extremism (MBR). “I see this as an attack against our open society. 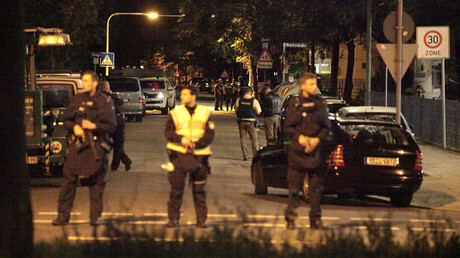 This is an attack against us all,” said Volker Beck, a MBR member and Green Party MP. In the meantime, police has launched a probe against the far-right group over allegedly committing a hate crime. "A criminal complaint was filed over suspicion of incitement [of hatred]," a police spokeswoman told AFP. 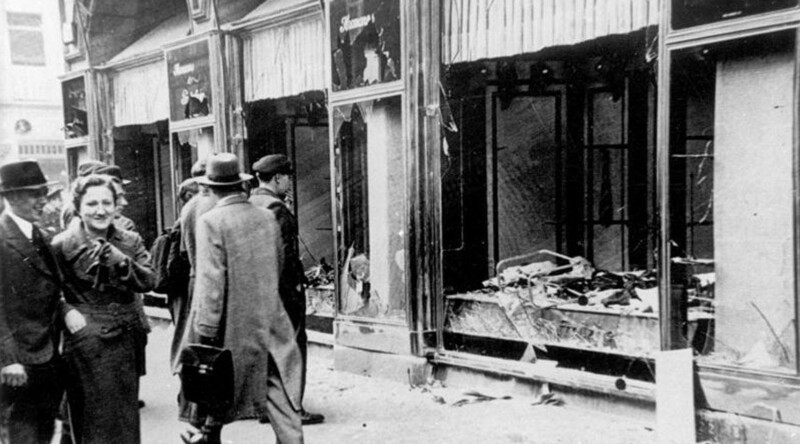 The 1938 Kristallnacht, also referred to as the “Night of Broken Glass,” took place across Germany when members of the Nazi party’s paramilitary wing SA launched a pogrom targeting Jewish stores, buildings and synagogues. The infamous name comes from the shards of broken glass that littered the streets of German cities after Jewish-owned establishments had their windows smashed. Estimates of the number of fatalities have varied, but it is known that the pogrom killed at least 90 Jewish citizens, while some 30,000 others were illegally arrested and thrown into concentration camps. It is also believed that the Kristallnacht paved way for Holocaust and the subsequent extermination of other minorities by the Nazis. — RT (@RT_com) 6 марта 2016 г. The address of the Berlin Holocaust memorial also appears on the map. "We were very shocked by this and find it intolerable," said Sarah Friedrich, a spokeswoman for the Holocaust memorial foundation. The map reminded her of lists published by the Nazis prior to Kristallnacht, she said. However, the foundation did not plan to tighten security in light of these events, Friedrich told the news outlet Local. On Wednesday, German Chancellor Angela Merkel paid tribute to victims of the Nazi pogrom during a memorial service at the Ohel-Jakob synagogue in Munich. One must comprehend how easily anti-Semitic and racist ideas proliferate today, she said, emphasizing the danger of unrestrained hatred spreading up through Internet. The events of Kristallnacht had been a prelude "for the greatest genocide in history of mankind," the Chancellor noted, while at the same time expressing gratitude to Germany’s Jewish communities which extended their hand to reconciliation.